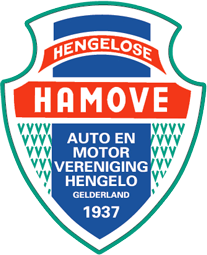 The HAMOVE has been organizing an off-road ride since 1992 in the last weekend of November. An off-road motorcycle is a motorcycle that has been developed for rugged terrain and unpaved roads. It is legal and also technically usable for paved roads, but that is not ideal. In the Netherlands there are only a few areas where legal offroad can be driven. These areas are mainly in the east and south of our country. The HAMOVE off-road ride leads over unpaved terrain where traffic controllers are used at critical points, such as dangerous crossings. The ride is only for the hobby rider so there is no competition element! In the route you can choose from two routes, which are completely polluted. Each loop is 25 to 30 kilometers long. Driving with Quads is also increasingly being done and can be done on a number of journeys, including the HAMOVE off-road ride. Both the two-wheelers and the quads must meet all requirements including a valid registration certificate and good lighting. After you have had the motor inspected, you can go to the registration table in the mill and after checking all your papers and paying registration fee (25 euros) you can ride as often as you want between 10:00 and 14:00. Immediately after the clock of 14 hours the volunteers set off again to clean up the entire route. Among the volunteers there are also a number of contract workers with their equipment to restore the dirt roads and fields to their former condition. After cleaning up, it's time to talk to the small hours. The day after the off-road trip, around 40 volunteers are picked up again to continue cleaning up all fields, forests and dirt roads. At the HAMOVE we call this the national rake day.